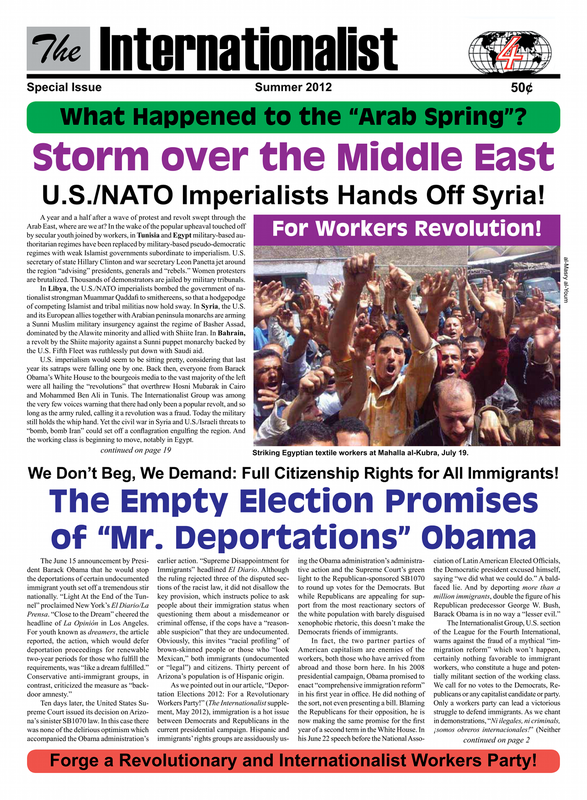 Get The Internationalist, Summer 2012! A new tabloid issue of The Internationalist is hot off the presses! * What Happened to the Arab Spring? U.S./NATO Imperialists Hands Off Syria! * Thousands Protest Racist NYPD "Stop and Frisk"
* Mexico: Defeat the Bourgeois Repression of the PRI, PAN and PRD! Workers to Power!